This is the first in a weekly series of excerpts from the upcoming book “The B Corp Handbook: How to Use Business as a Force for Good” (Click here to read the rest of the series). I first found out about B Corporations while baking cookies. The flour I was using — King Arthur’s unbleached all-purpose flour — had a Certified B Corporation logo on the side of the package. “That seems silly,” I thought. “Wouldn’t you want to be an A Corporation and not a B Corporation?” The carton of eggs I was using was rated AA. An online search revealed that the B logo was not a scarlet letter for second-rate baking products. B Corporations, I found, were part of a dynamic and exciting movement to redefine success in business by using their innovation, speed and capacity for growth not only to make money, but also to help alleviate poverty, build stronger communities, restore the environment and inspire us to work for a higher purpose. 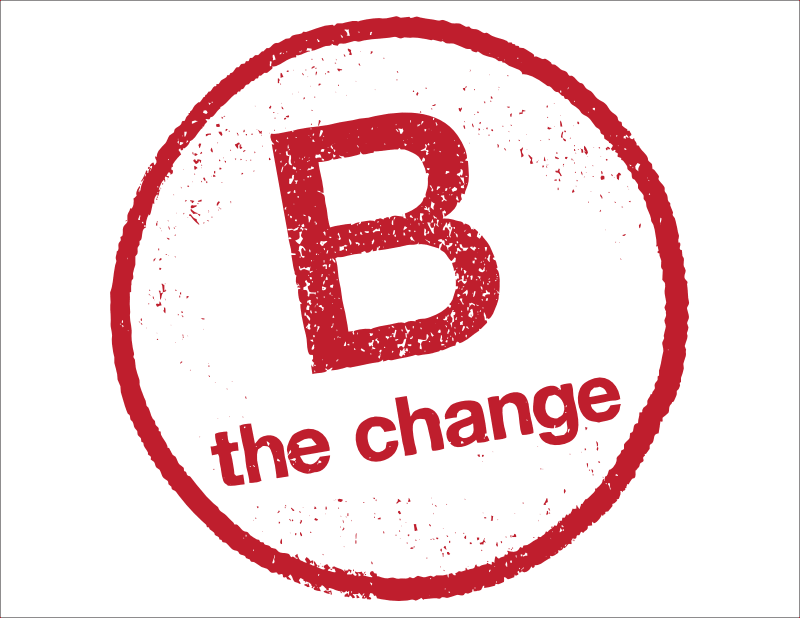 The B stands for “benefit,” and as a community, B Corporations want to build a new sector of the economy in which the race to the top isn’t to be the best in the world but to be the best for the world. Since my cookie-inspired discovery, I have watched the B Corp movement grow rapidly and globally. In addition to King Arthur Flour, big-name B Corps include companies like Ben & Jerry’s, Cabot Creamery, Dansko, Etsy, Method, Patagonia and Seventh Generation. There are now Certified B Corporations in more than 30 countries around the globe, including Afghanistan, Australia, Brazil, Chile, Kenya and Mongolia (to name a few). Thought leaders such as former President Bill Clinton and Robert Shiller, the winner of the 2013 Nobel Prize in Economics, have taken an interest in the B Corp movement. You ought to look at these B Corporations. . . . We’ve got to get back to a stakeholder society that doesn’t give one class of stakeholders an inordinate advantage over others. I think B Corporations will make more profits than other types of companies. In a time of unfortunate political gridlock, the B Corporation is an idea that has generated incredible bipartisan support. In the United States, legislation to create benefit corporations — a new corporate structure based on the B Corp idea — has been passed in “red” states like Louisiana and South Carolina, “blue” states like California and New York, swing states like Colorado and Pennsylvania, and even in Delaware, the home of corporate law, where more than 63 percent of the Fortune 500 are incorporated. It is not hard to see why this idea receives strong bipartisan support. B Corps are pro-business, pro-environment, pro-market and pro-community. Finally, there are two things you should know about this movement. First, B Corp offers a framework that any company in any state or country in the world can use to build a better business. This framework is relevant whether you are a B2B or B2C business, a local sole proprietor or a global brand, a start-up or a third-generation family business, a limited liability company or a partnership, an employee-owned company or a cooperative, a C Corp or an S Corp, or even if you are still deciding on the right structure for a new business. Second, B Corp is relevant to you personally, whether you are attracted or repelled by such terms as green, socially responsible, or sustainable; whether you consider yourself conservative or progressive; whether you are a student, a young entrepreneur or an experienced businessperson. If you have ever thought about how you could make a living and make a difference, about your legacy and the example you set for your kids, or about leading a purpose-driven life — and especially if you’ve thought about how you could use business as a force for good — the B Corp movement is for you. Welcome to the future of business.